Call 646-918-6189 for tickets. Box office hours are 6 PM - Midnight. 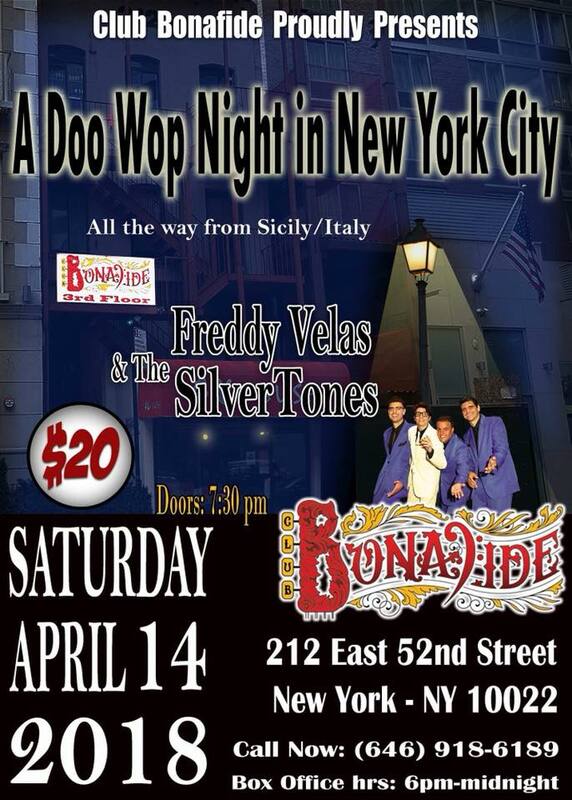 All the way from Sicily, Freddy & the Silvertones will be performing at Club Bonafide, 212 East 52nd Street, New York, NY, on Saturday April 14, 2018. Doors open at 7:30 PM. Tickets are $20. Call 646-918-6189 for tickets. Box office hours are 6 PM – Midnight.